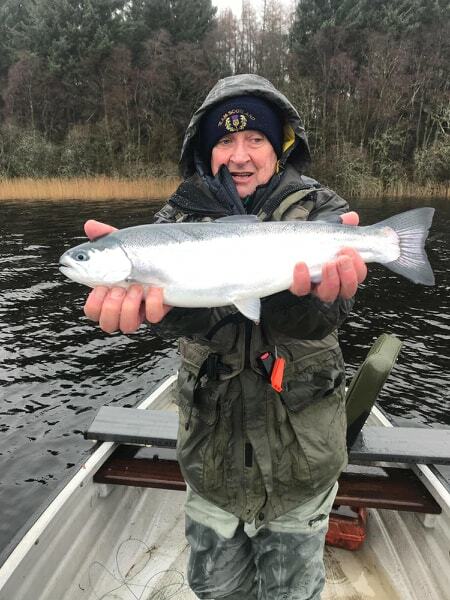 The Lake was opened by Topher Nairn (left) from Lochend – despite the snow lying thick around the country (but it wasn’t too bad at the port). 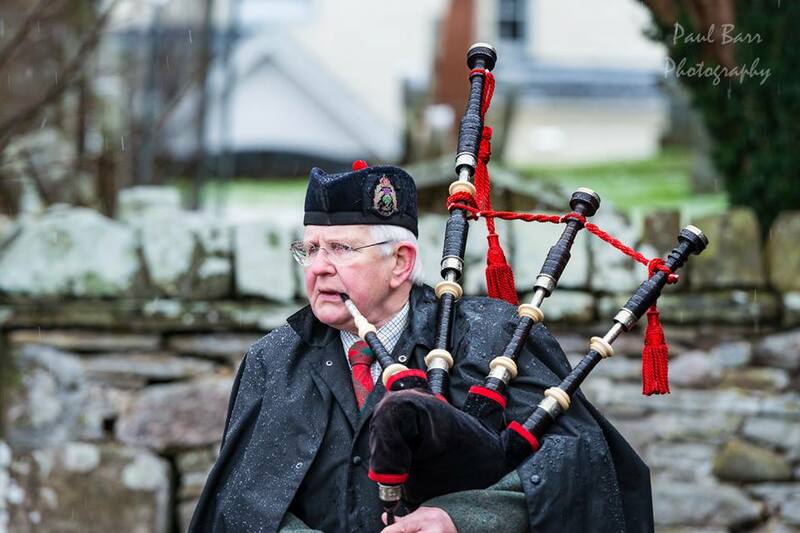 The opening was assisted with some fine tunes for such a cold day, from Piper Stewart Marshall of Cambusbarron. 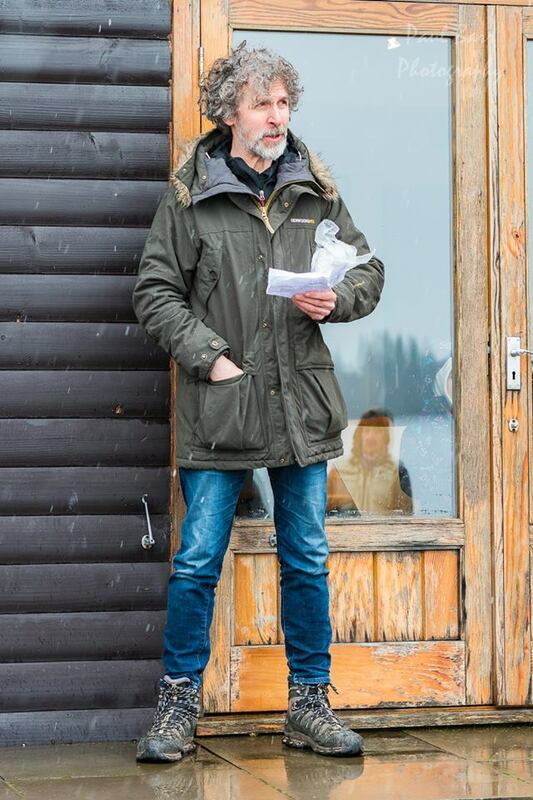 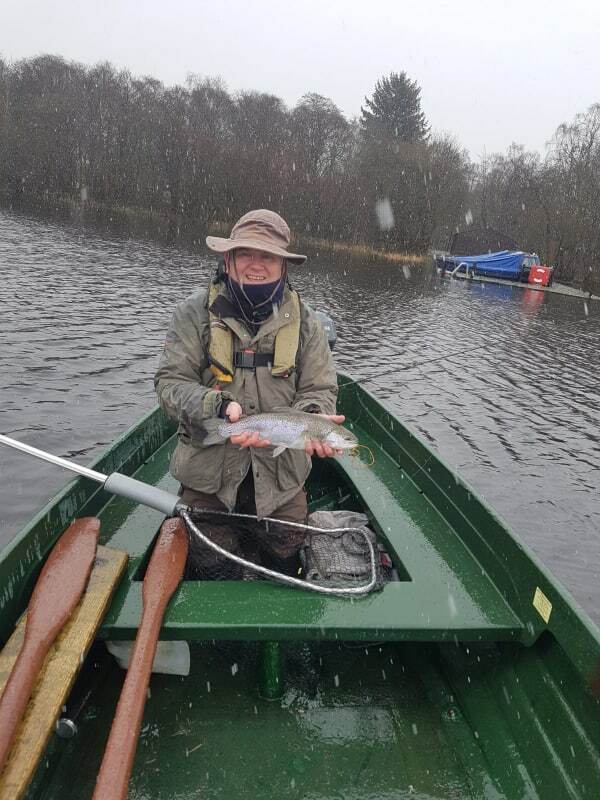 Being only 50ft above sea level, and sheltered from many directions gives the lake its own microclimate – but the combination of sleet, snow wind and rain had many seeking the pleasures of the howff and wood burning stove within hours of going out. 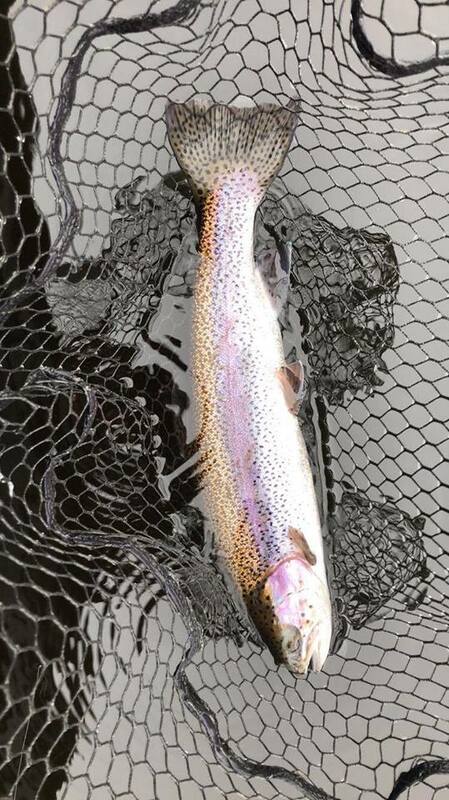 In the afternoon the wind dropped and nothing fell out of the sky, and some pleasant fishing was enjoyed. 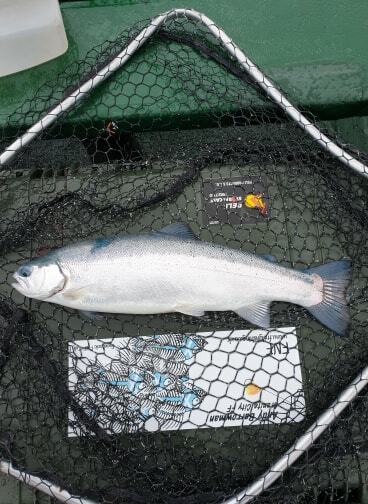 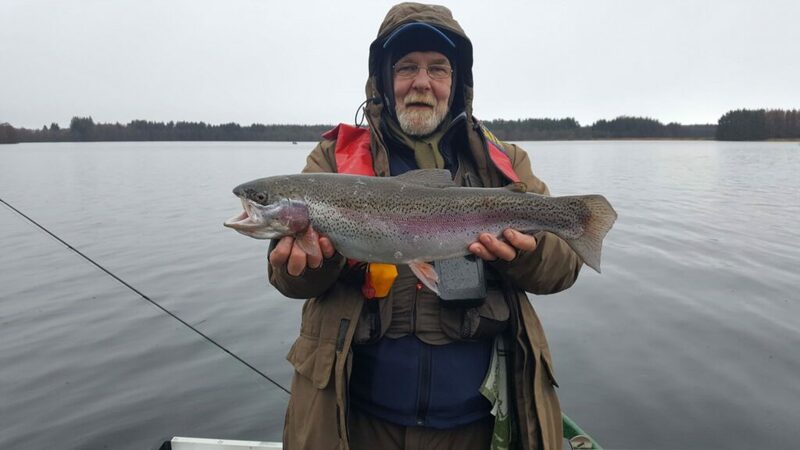 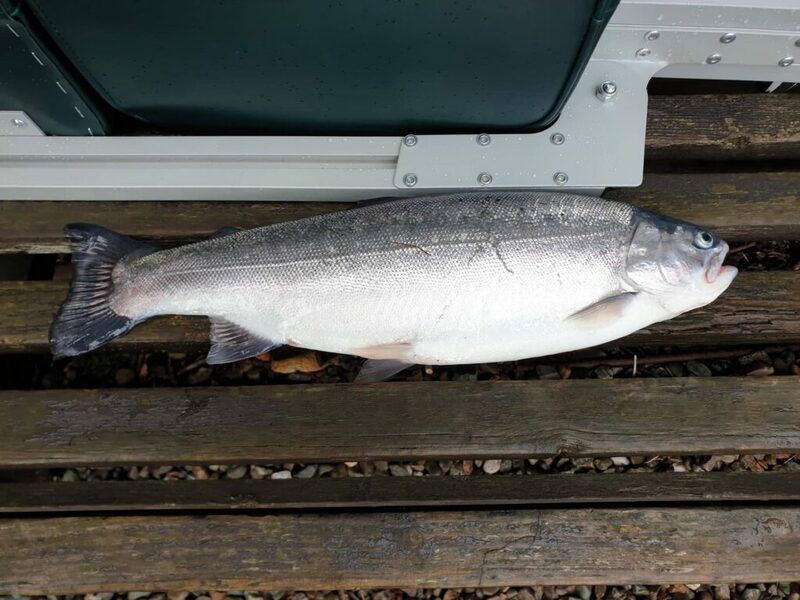 The anglers who braved the weather were rewarded with some good catches with overwintered fish over 5lbs being landed. 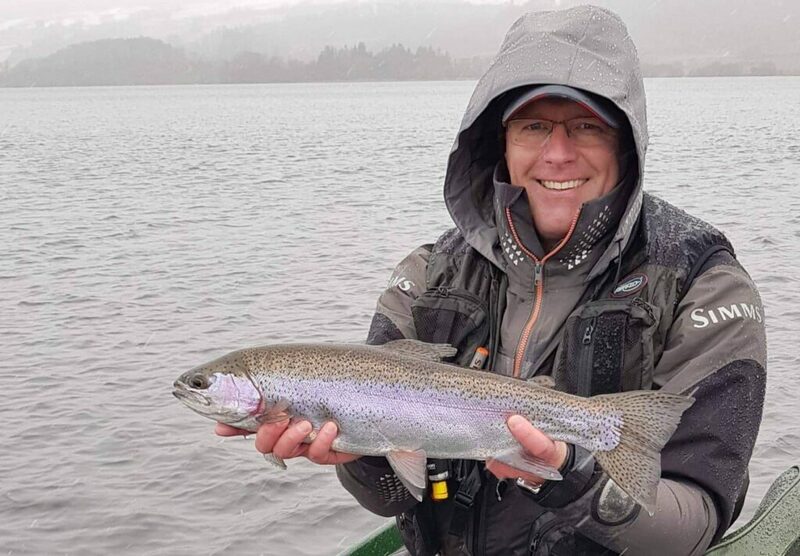 Successful tactics ranged from snakes and boobies fished on sinking lines right up to dry flies in the more sheltered areas. 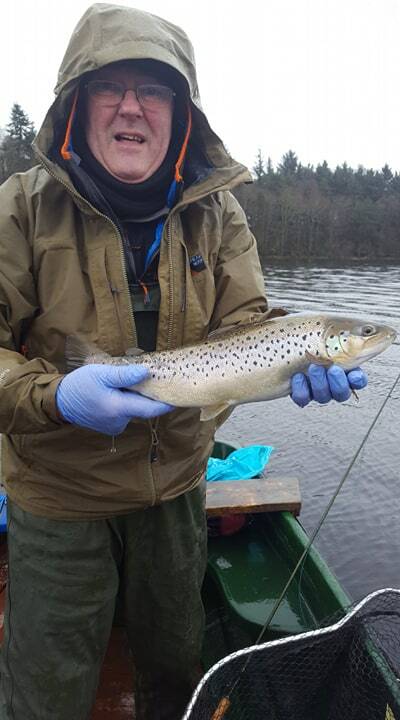 The wind in the morning came from east/north- east and swung all the way round through north to finish a westerly by the end of the afternoon. 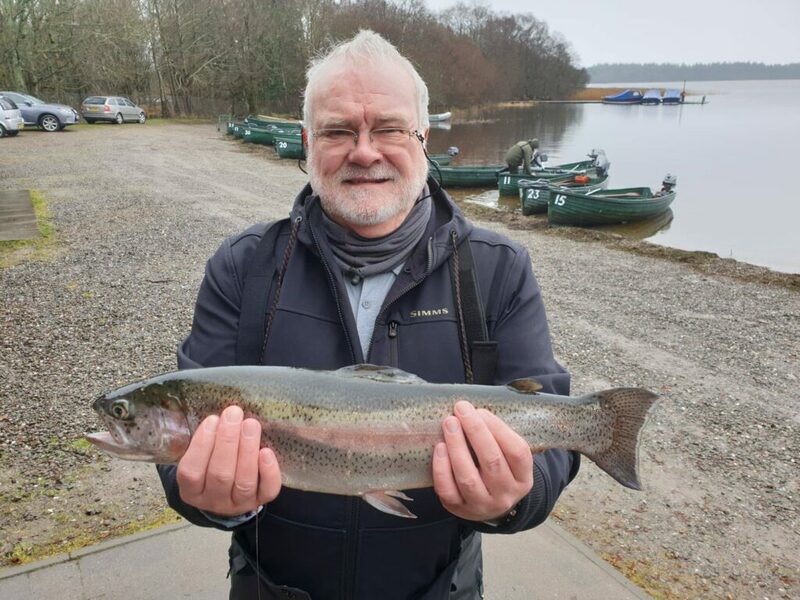 The most beautiful fish was a “no brainer” for the panel of three judges and was caught by Alan Steven from Bo’ness, pictured with the fish and holding the trophies. 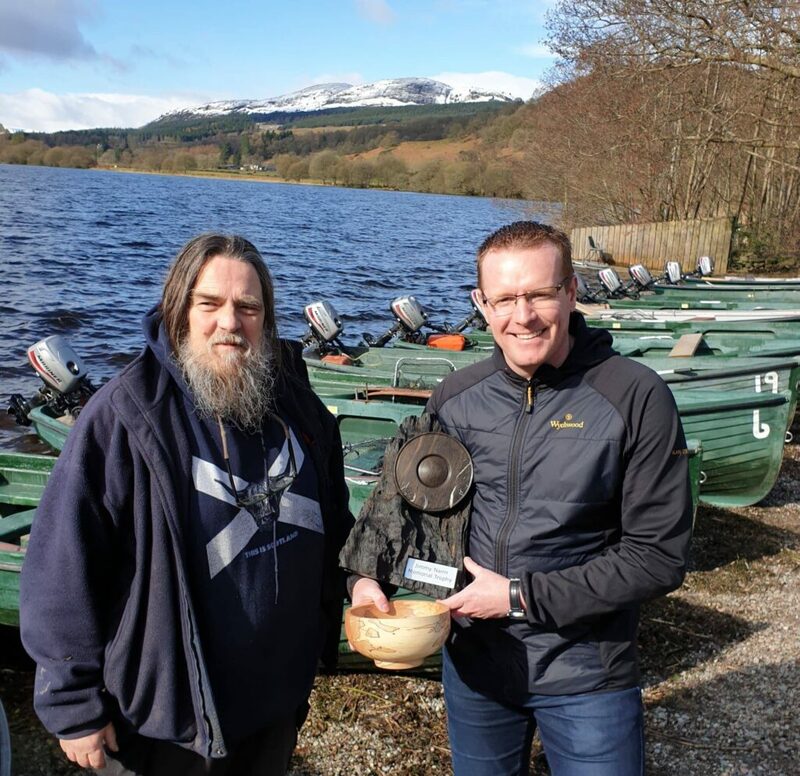 Alan gets to keep the bowl, carved by Jimmy’s son in law – Chris Carroll. 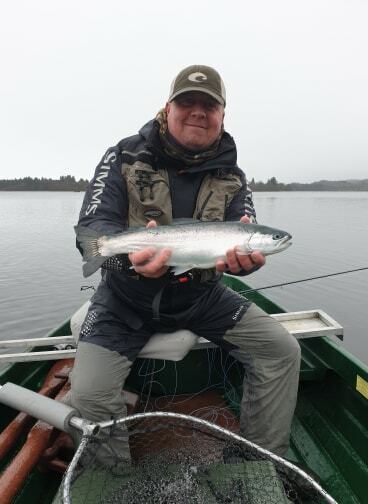 All the beautiful fish contenders can be seen at the Lake of Menteith below. 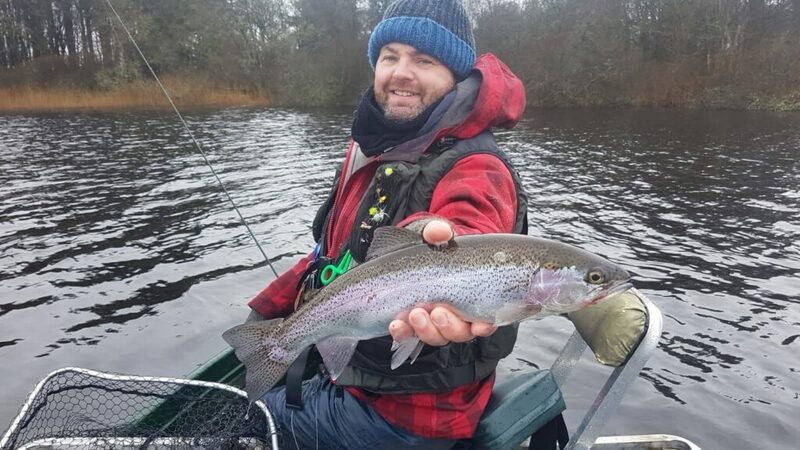 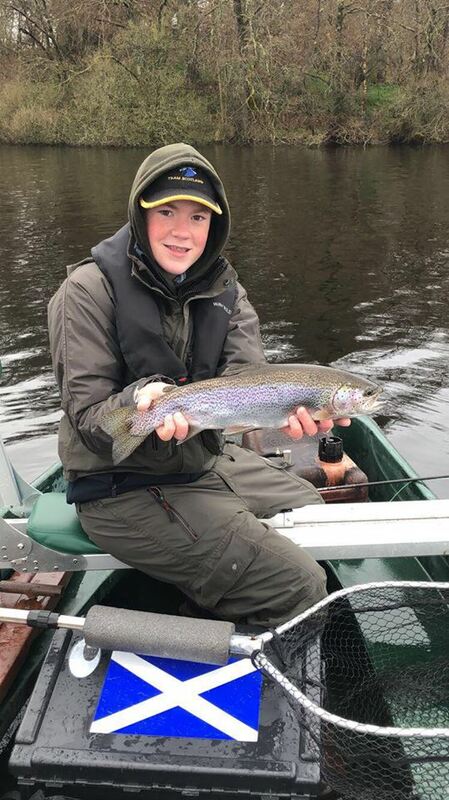 The best boats on the day had over 20 fish, with good areas being Tod Hole to Lochend, Malling, Sandy Bay and also over open water from Arnmach toward Lochend.